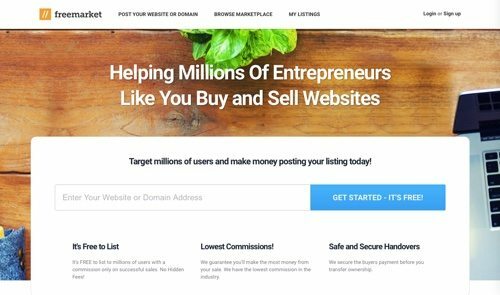 Here is a list of marketplaces to buy and sell websites. There are full-service brokers to oversee the entire process, vetting the parties, determining market value, and ensuring secure transactions. There are also free and low-cost boards for buyers and sellers to find each other, perform due diligence, and complete the transaction on their own. 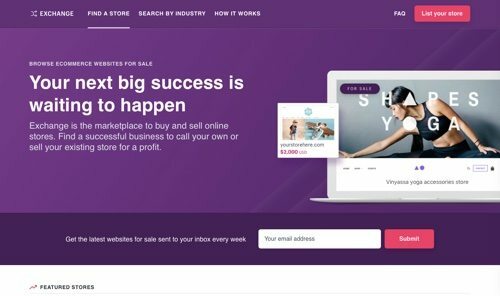 Exchange is Shopify’s new marketplace where owners offer their ecommerce websites for sale, whether the sites are new or established. Businesses on Exchange are Shopify stores that the owners listed using the official Exchange app. 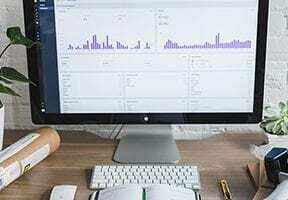 Shopify automatically generates the listing based on the store’s actual data. The current storeowner can’t edit revenue or traffic information. Price: Free. 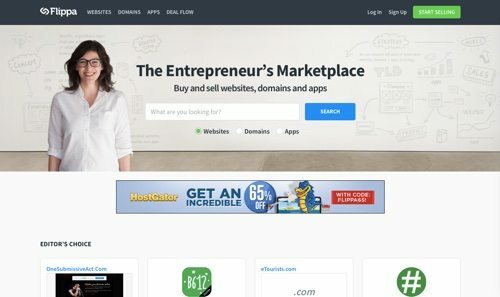 Flippa is a marketplace for buying and selling web businesses, domain names, and apps. One of the first companies in the space, Flippa remains a dominant marketplace for buyers and sellers of online businesses. According to Flippa, 5,000 new businesses and domains are listed for sale on Flippa every single day. Flippa has over 800,000 registered members. And every month over $5 million worth of businesses are sold. Price: 12-percent to 15-percent success fee. See site for additional pricing. 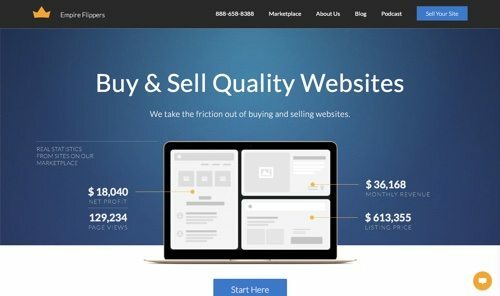 Empire Flippers is a curated marketplace for buying and selling websites. The platform vets all sellers, examining the website’s history of earnings and traffic to make sure both are stable and have passed a verification process. Once qualified, the site is listed based on a multiple of net monthly profit — typically the average of the last 3-12 months of net profit and then multiplying that figure by a multiple ranging from 20 to 40, depending on a number of factors. Buyers pay a 5-percent refundable deposit before they get info on a site, helping to eliminate non-serious prospects. Empire Flippers, with over $25 million in total sales, handles all communication between buyers and sellers. Price: 15-percent success fee. 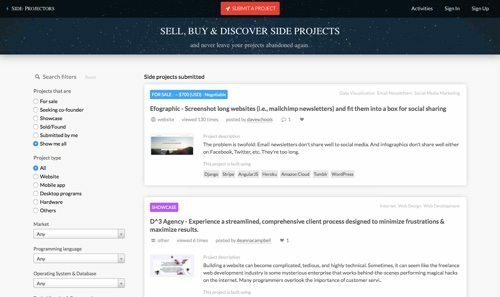 Side Projectors is a marketplace for side projects, including websites, apps, desktop programs, and hardware. If you have a side project and you are no longer working on it and wish to sell it, you can post it on Side Projectors. You can also solicit partners to expand a business. Price: Free. 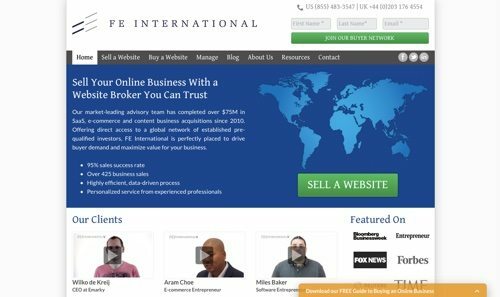 FE International provides merger-and-acquisitions advisory services for mid-market ecommerce, software-as-a-service, and content businesses. It specializes in business sales in the mid-five to mid-seven-figure range. FE International has completed over $75 million in business acquisitions and over 425 business sales since 2010. There is a vetting process for both buyers and sellers. On completion of a deal, FEI charges a buyer transaction fee of 2.5 percent, based on the final sale price of the business, up to a maximum of $1,000. Contact for seller transaction pricing. 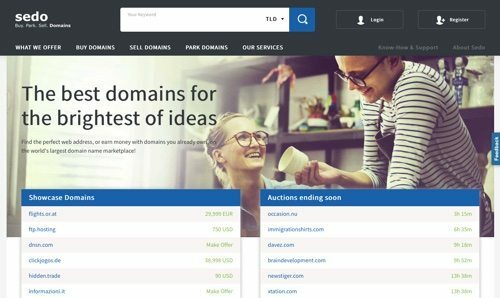 Sedo — Search Engine for Domain Offers — is a searchable domain marketplace. It features extensive services for domain buyers and sellers, from domain parking and appraisals to the brokerage and marketing of domains by a professional brokerage team. Sedo has over 2 million registered customers, 4 million parked domains, and 3,500 domains sales every month. Contact for pricing. BizBroker24 can help prepare a business for sale, negotiate with, potentially, thousands of prospective buyers, and provide a structure to ensure the safe, efficient sale of an online business. 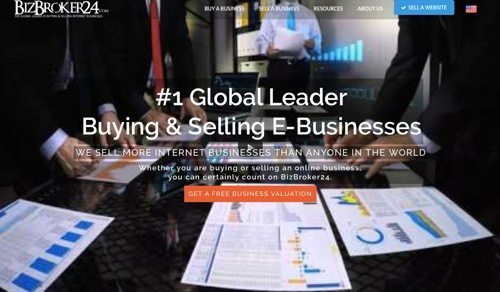 BizBroker24 focuses on Internet businesses with transaction valuations between $150,000 and $20 million. It has closed over 550 transactions. BizBroker24 charges no up-front or hidden fees, and it provides a free valuation. Contact for pricing. 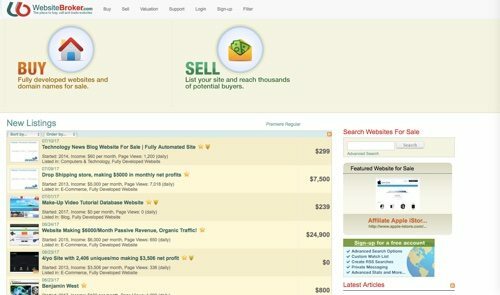 Freemarket.com is a full-service broker to buy and sell a website or domain, in a simple and straightforward platform. To ensure a safe transaction, Freemarket uses a built-in payment service to hold buyers’ funds while sellers transfer ownership. This guarantees that the money to purchase assets is available, and that everything goes smoothly during the handover process. Price: 5-percent success fee. There is no listing fee. Advanced marketing features are extra. 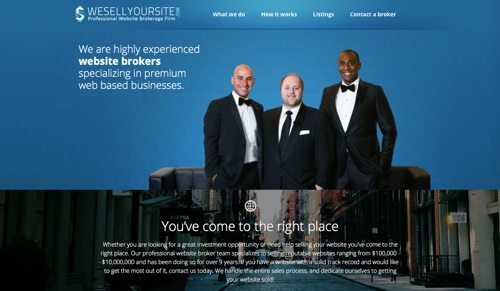 WeSellYourSite is a brokerage service based in Toronto. It specializes in selling reputable websites ranging from $100,000 to $10 million, with EBITA — Earnings Before Interest, Taxes, and Amortization — from $100 thousand to $5 million. WeSellYourSite handles the entire sales process. Contact for pricing. WebsiteBroker.com is a low-cost marketplace for selling or buying a website. It is more of a do-it-yourself option than a full-service brokerage. Buyers must do their own due diligence, and sellers must determine their own pricing, though the site does have tools to help. Prospective buyers do not need to register to browse the listings, but registering will provide access to advanced features. For sellers, pay only the initial listing fee. There is no separate fee when you sell your website (or domain name). Price: Standard listing is $9.95. Premier listing is $29.95.